Moving forward and doing what you love! Home/Audrey's Observations, Uncategorized/Moving forward and doing what you love! netlogx is a proud sponsor of the National Association of Women Business Owners Indianapolis (NAWBO) and at their last meeting I ran into a fellow NAWBO member who was thrilled to share that she had been selected for the 2012 ATHENAPowerLink® mentoring program. This brought back a flood of memories from my own selection last year and gave me the chance to reflect on what a fantastic opportunity netlogx had been given. In late 2010 we went through the application process which in itself was a great tool to evaluate where netlogx was and where it was planning to go. The panel selected for the netlogx advisory board consisted of a business school professor, an accountant, an attorney, a chief information officer, a corporate banker, a small business owner and a communications expert, all of whom were committing their time and expertise to help netlogx find the right path to move forward. Overall the process is a wonderful opportunity to leverage the knowledge and skills of dedicated professionals. The panel provides a sounding board and offers advice but all decisions reside with the business owners. Our initial goal for the year was to develop a new strategic plan with an emphasis on establishing an organizational structure to ensure that the business was positioned to succeed and move forward. 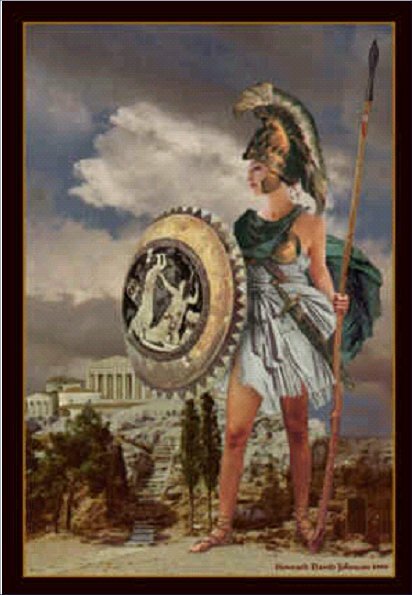 Athena, the Greek goddess of wisdom, war, the arts, industry, justice and skill. In one of the initial sessions it was shared that people who run businesses do so for a variety of reasons and quite often because it is in an area they’ve had personal success in. However, that personal success in an area doesn’t automatically equate to running a business well since there are many additional skills involved. This rang true and as the dialog continued it became obvious that when I talked about what we did as a company, I was enthusiastic and passionate and in order to develop further this is where I should focus my efforts. Through this process we made the decision that we would hire a Chief Operating Officer to manage the day-to-day running of the business. The value of this single change has been extremely beneficial because it has liberated me from doing things that didn’t leverage my strengths and at the same time presented me with the opportunity to continue to do some consulting work which is what I particularly enjoy doing. Finally what became clear is that having a panel of talented individuals through the ATHENAPowerLink® program provided us with a sounding board for our ideas and ensured that we understood what, why and how we would – or would not – move forward on a given initiative. As a result we have subsequently taken the process and established both an external board of advisers and identified internal teams to help us continue these dialogs. If you have a chance, check out the program for next year and I would highly recommend looking to outside resources to bounce ideas off! By ataylor| 2016-12-05T11:15:24+00:00	June 7th, 2012|Categories: Audrey's Observations, Uncategorized|Tags: business, women, work-life balance|Comments Off on Moving forward and doing what you love!